Stuart Lancaster's memories of the 2015 World Cup may largely dredge up painful memories but the former England boss understands what it takes for a nation to host a successful tournament. The Leinster coach can see plenty of similarities between Ireland's bid to host the 2023 World Cup and England's, when they were successful two years ago. England relied on football clubs around the country to support their bid and having now seen the quality of GAA stadiums in this country, he sees no reason why Ireland cannot welcome the world. "I'm keen to support Ireland's bid, 100pc," Lancaster enthused. "In the lead up the bid for the 2015 World Cup, I wasn't involved in the actual delegations so to speak but obviously I was working for the RFU at the time. "Then we got the bid and then we had the whole lead up to the World Cup and the experience itself. "So I feel really qualified to understand what it takes to run a successful World Cup, having been involved in England's. On the field, it was obviously disappointing for us but you couldn't fault the RFU for what they did in terms of the preparation and the way the public embraced it. "I think the key things that were done right at the time; there was a buy-in from all key stakeholders. Everyone wanted it to work. "The government were behind it right the way through and obviously led the bid. The soccer clubs that we used were supportive. The English people got behind it. From grassroots rugby right the way through to elite game - the Premiership clubs. Everyone was behind the bid and I think that's what made it a successful bid. "When I look at Ireland, I see the same thing, in a different context to the government obviously. The IRFU, the GAA clubs, the country would do a fantastic job in hosting the event." Lancaster believes that the "spectator experience" in his home country was key to hosting a successful tournament and having moved to Dublin last year, he insists that Ireland can follow England's lead. "I think it's a very, very strong bid and I think personally, when you go through the 2015 World Cup, it was the spectator experience that stood out," he maintained. "You name me a country that would do the job of (hosting) top level sporting events along with great social experience? I think Ireland ticks all of those boxes. "I've lived here for a year now and I didn't really understand how many good stadiums there are in the country, when you include the GAA stadiums. "Obviously Thomond Park and up in Ulster and over in Connacht, I've played those stadiums and I know what it feels like to play at the Aviva. "I went to the All-Ireland hurling final at Croke Park and I could see how big these events are in Ireland and how well run they are. "I think Ireland's bid is a very, very strong bid and I think it would an unbelievable place to bring the world to an island and bring the island alive. I think it would be fantastic." 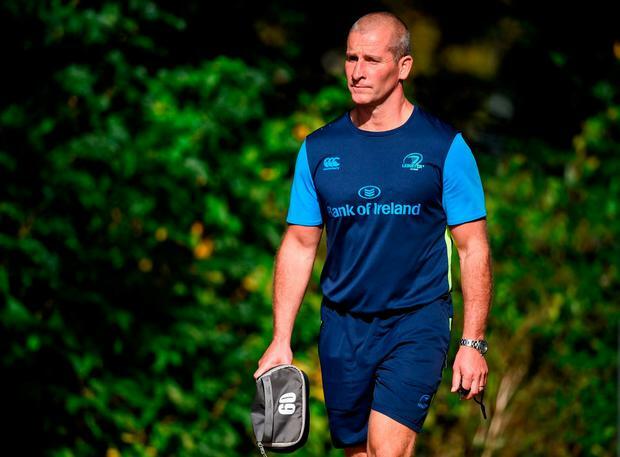 Lancaster conceded that Leinster were well off the pace against the Cheetahs last Saturday and despite all of the hiccups that the squad encountered on their South Africa trip, he wasn't looking for excuses for their poor showing. "Part of the challenge for Leinster at the time was we found out late notice," Lancaster added. "Not booking everyone on the same flight was a challenge. To be fair Leinster had a lot of handicaps other clubs won't have because we had to go out early. We would obviously try to get everyone on the same flight, for a start. "In an ideal world we would have taken all the best players. I came back early, which wouldn't be an ideal scenario, but the Lions players were unavailable and somebody's got to look after the players back here. "In terms of the Cheetahs game we should have brought more physicality. We certainly pressed that on the players but from the outside looking in - watching on TV at home - we lost the collisions against an experienced and physical team up in Bloemfontein. "You could talk about altitude but we deservedly got beaten." Independent.ie Sportsdesk Defending champions New Zealand have been dealt a significant blow as utility back Damian McKenzie has been ruled out for the World Cup after he ruptured his ACL playing for the Chiefs on Saturday. David Kelly Will Addison's World Cup hopes are hanging in the balance after back surgery ruled the Ulster utility player out for the rest of the season. Cian Tracey The tale of Stephen Donald's World Cup journey in 2011 will forever highlight the importance of squad depth, particularly at out-half.